Okay, so hopefully there will be no snow on the ground, but we are taking the opportunity of visiting a member’s relatively new orchard to discuss our various preparations for winter. Do you do dormant spraying? Do you remove the leaves from your trees in this most unseasonable of winters? How do you train the young trees you planted last bareroot season? 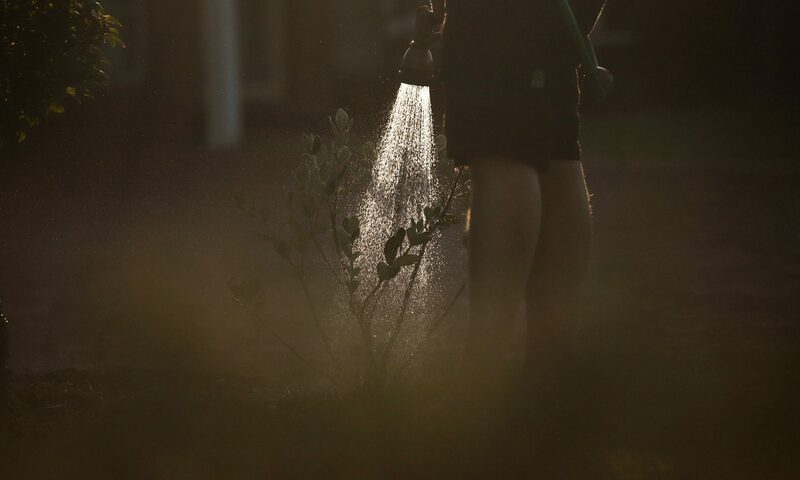 How are you getting ready for the trees you will plant this year? 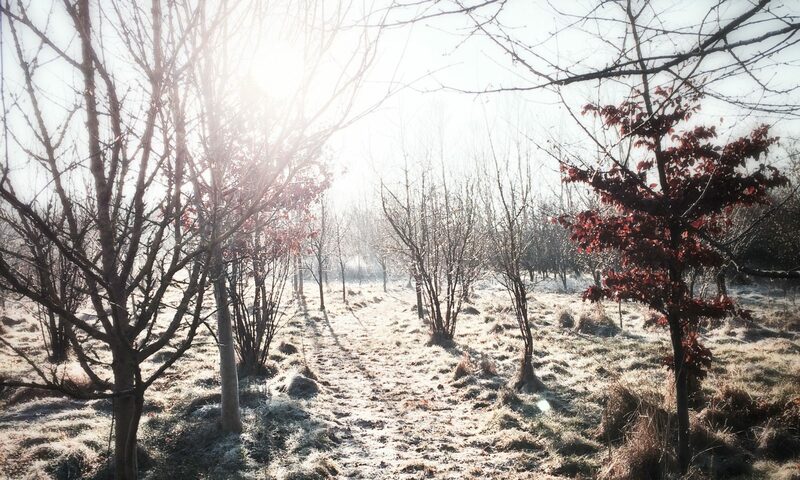 How do you prepare your orchard for the (fingers crossed) winter rains? There will be plenty of time to tour the garden but also yak. Come with ideas! Oh, do you guys have a treat in store! 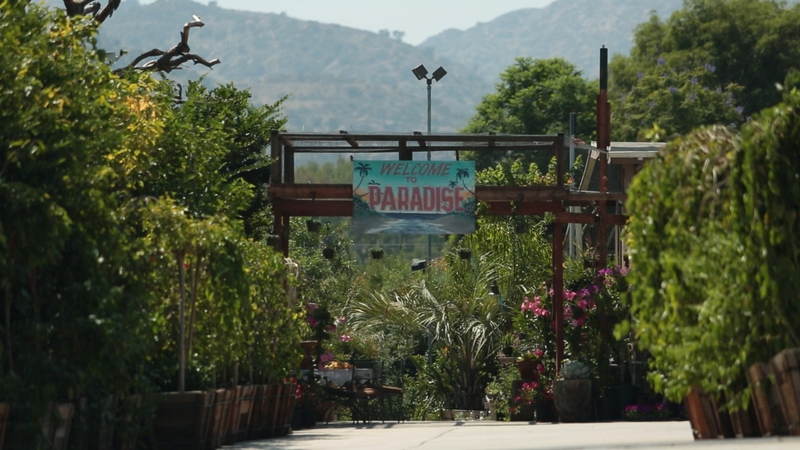 We are going to Paradise Nursery in Chatsworth. 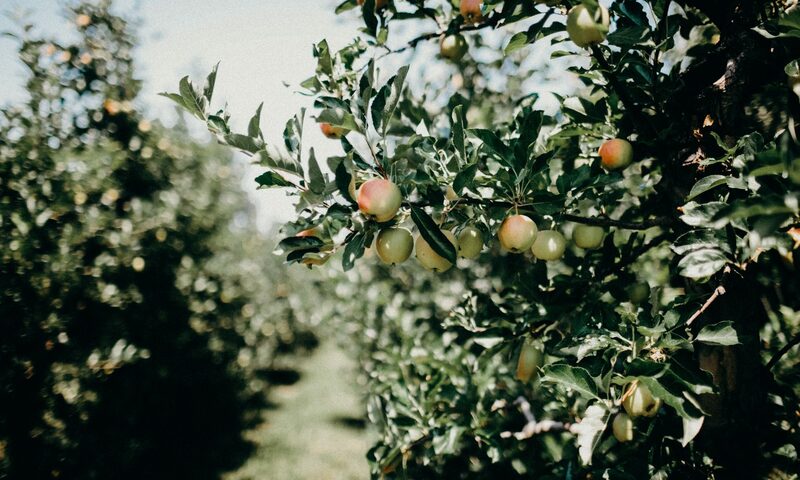 This is a family-owned nursery that propagates and grows its own beautiful trees (primarily fruit, including many Persian specialties you won’t find elsewhere). Plus many of their trees are ENORMOUS! Walking around the grounds is sort of like walking through a forest, and it gives you a rare chance to see what your trees will look like full grown. Paradise of course also carries trees small enough to fit in the back of my Toyota Corolla, so don’t think you won’t also be able to bring home trophies from the hunt. “(Owner) Dr. Majid Jahanbin is an Agricultural Engineer with a doctorate from the University of Bologna, Italy. He fell in love with plants at the age of seven, while visiting his father’s farm in Abadan, Iran. He has over 50 years of professional experience and hosts a popular radio show on 670AM KIRN, giving gardening tips and taking questions on air in Farsi. Ash has kindly agreed to meet with us and answer any questions we have about his trees. There is parking; but on a Saturday morning it might be somewhat limited, so car pooling is highly suggested. 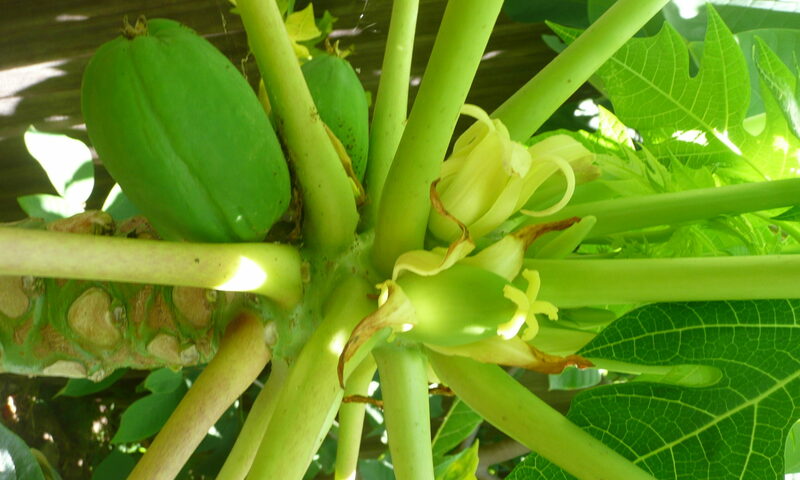 Also fellow chapter member Alex Silber’s Papaya Tree Nursery is only a couple of freeway exits away from Paradise and if you have never been there, it would be well worth your time to arrange with Alex to stop in before or after. Since he operates quite literally out of his family’s backyard, he can’t take all of us but said he would welcome individuals who call him first. We will be visiting a member’ orchard all the way out on Point Dume. This is a long and physically challenging tour with limited space, so it is absolutely restricted to members only. RSVPs are required and can be made by using the form below. Once your chapter membership is verified, you will receive the exact address. PLEASE do not RSVP if you only think you might be coming. Our host requires an accurate count. If we receive more RSVPs than he can comfortably handle, the tour will be repeated in March for the overflow. Note: If you RSVP and then fail to show up, thereby depriving someone else the opportunity, you will not be allowed to come in March. With some misgivings, I am throwing open my yard for our July field trip/workshop. The topic will be Wise Watering for the Hot Months Ahead. I have 6 different watering systems in use, ranging from the laundry-to-landscape greywater our April speaker Sergio Scabuzzo installed in front , to basic inline drip from Smiths Plumbing, individual drippers on a solid hose from various sources, hand watering from 10 gallon buckets where I store shower water not yet heated up (and I just got the niftiest watering can! ), and a small rotary sprinkler system on the tiny lawn. If the rest of you could bring samples of whatever you are using to water your gardens, we could answer one of the biggest recurring questions members have here in Drought City. Members should enter through the big driveway gate and head to the backyard where I will put fences around anything I am concerned about people trampling. As is true of all field trips, please do not pick, poke or otherwise molest the green-age. The driveway is in perpetual shade but I have no chairs there so if any of you have portable ones, it would be great to bring them. There are a (very) few chairs on the back deck plus steps where the younger folk can sit, so if it is not too hot, we can have our workshop there. The backyard has some mature trees: a Black Mission fig, 2 Satsuma tangerines, Moro blood orange, Meyer and Eureka lemons, Bearss and Mexican lime, Big Jim Loquat with a Champagne graft from Marjane, Black Persian Mulberry (plus a new little Pakistani from Hal), Saijo persimmon plus half a dozen cherimoyas from seed (and one transplanted from Gary Richwald’s yard), 2 passionflower vines from Jorge Ochoa, a new little Sweetheart Lychee, four apple trees, two ridiculously huge Laurus Nobilis (an object lesson in why they shouldn’t be planted here especially on the south side of our yards) a couple of Cherry of Rio Grande, one Surinam cherry and probably other stuff I’m forgetting (oh yeah, papayas from seed and a Babaco from Charles Portney, plus a new Stewart avocado–ed. the Stewart just ended up in the front yard). The tiny lawn is the UC Verde drought tolerant stuff developed by, right, UC Riverside. The front yard is not to be entered and will be rung with Home Depot’s best DANGER tape. It is full of bee and butterfly plants, an extremely fragile drip system and an even more fragile graft of Yang Mei onto Pacific Wax Myrtle. Fang Liu did approximately 15 such grafts and only the one took. Needless to say, I am extremely protective of it. There is also a native California garden on the parkway (and a lot in the front yard too) which is a whole other topic we discussed at Hal’s but people can see in action. There will be cookies. Please don’t feed them to the extremely large but friendly dog. “It is a simple collection of plants on clay soil amended over the years primarily by mulching. Three camellias and a fig were mature when we bought the property in 1974. This was followed by years of grass lawns, play houses, and sports areas for three sons. We planted a Meyer lemon tree and removed an avocado and a peach which had been killed or severely weakened by the smog of the 1970’s (according to neighbors). We did plant vegetables most years, and I divided and added to the bulbs that were here. Most notably there was a highly fragrant tagette type of narcissus which returns every year. The bulbs have bloomed and you will see the foliage maturing and dying back, a messy necessity as they get next year’s energy after bloom. Some summer bulbs may have started. For years I was a member of the Tinseltown Rose Society. Then I added a lot of perennials and annual flowers, and my friends encouraged me to start selling bouquets. I had clients (mostly therapists) who received a weekly bouquet in their offices. After a much needed divorce, I enrolled in and completed the UCLA Extension Gardening and Horticulture Certificate Program. For about ten years I did specialized garden maintenance in Westside and Santa Monica gardens, mostly for elderly clients. Pruning roses and vines and planting vegetable gardens were my specialties. Kiwi was what brought me to CRFG. I bought a male and female. I never had a flower on the male or the next three males I bought. Roger Meyers offered some male flowers so I could assure myself that the impotent males were the problem. My pollinating worked, but driving to Orange County was hardly a reliable long term solution. You will not see Kiwi in my garden. You will see the still-producing Meyer lemon, figs, jujube, guavas, persimmons, mangoes, finger limes, calamondin, Kaffir lime, mandarin, pomegranate, pineapple guava, blackberries, moringa, galanga, oregano, and my latest passion: mulberries. Starting with a Persian mulberry, I now have four more little ones (small plants and in one case small fruit). I have four compost bins and two worm farms. One of the bins is a variation on one I built based on a design from UC Davis. Mine is from fencing posts but is adaptable to different materials for those whose family or neighbors balk at the farm look. Bring a little container (yoghurt or similar) if you would like some worms. My Kaffir lime needs pruning, so you Asian food cooks can take home some branches. The galanga (Thai ginger) needs dividing so bring a bag or sheet if you are interested in this root plant. If you are a current member, you should have already received your newsletter with Jane’s address. If you didn’t, please use the Contact Us button to let us know.